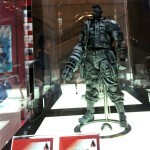 Square Enix is no stranger to bringing loads of merchandise to trade shows. 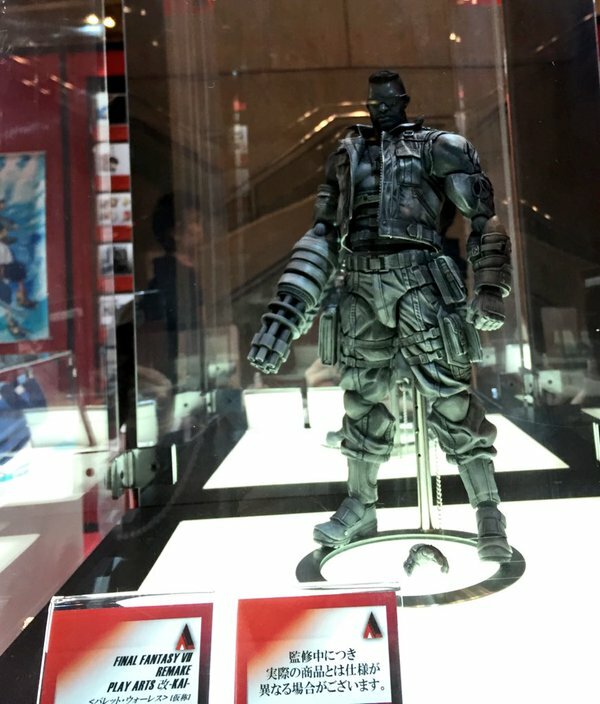 With the opening of Jump Festa 2016 today, some lucky fans have caught the first glimpse of brand-new, upcoming merchandise for the long awaited Final Fantasy VII Remake – in the form of Play Arts Figures. 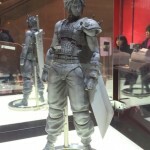 The two figures on display are Cloud and Barret, in their updated, modern designs as prototype displays showing off how they’ve already been revealed to appear in the Remake. Take a closer look with these image shots below. Stay tuned for more Final Fantasy VII Remake and other Square Enix games – right here on Nova Crystallis! 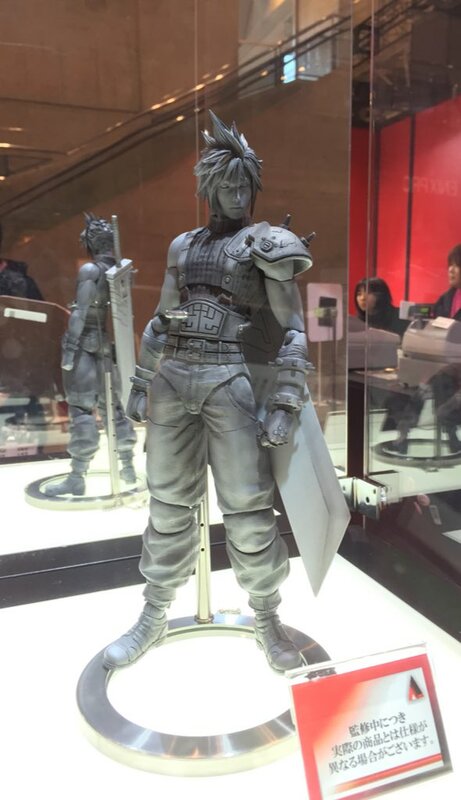 Posted in Final Fantasy VII Remake, Jump Festa 2016.
why…why do they keep making the same figures over and over and making them more expensive? I honestly like Play Arts before Kai..don’t get me wrong, Kai’s made some great figures (classic MGS,Advent Children,Halo,Assassin’s Creed) but my god, every “new” version of the same character just gets more and more and more expensive. Red XIII is almost the EXACT same as the regular Play Arts figure, only it comes will LESS ( no Cait ) and it’s $145… 😐 how much you wanna bet these figures will be close to $200? I’m sorry but they’re no Hot Toys/ Sideshow., they should be under $100 unless they’re huge like Solidus Snake, Raiden or Cloud with the swords, the rest have no excuse. I never bother with Play Arts Kai. They’re all extremely expensive which makes caring a waste of time since I’m too poor to buy anything. The figures are pretty to look at, though. Where is new trailer? forget the toys. Play Arts Kai figures are what $50 while other high quality figures like Alter or HotToys are over $175. But I really don’t like the joints on Play Arts Kai. Sometimes they do clever things to hide them, sometimes it’s right on your face. right? thought it’d definitely be on by now, looks like they’re saving it for dead last I assume? I usually buy my Play Arts Kai figures off of eBay. The Final Fantasy XIII-2 Lightning was $50. I bought a Sam Gideon (Vanquish), that was about $70 but just because got stock at the customs and had to pay VAT. But there are some rare figures that cost a lot, like MGS1-Snake or MGS1-Ninja, those are over $500… These are my experiences with Play Arts Kai. those older figures, especially from 13 arent too bad, the random ones like Vanquish, Mass Effect, Resident Evil and Superman don’t sell for too much, but the NEW ones, every Final Fantasy, every MGS ( not including Peace Walker ) ever BATMAN LOL soooo many Batman variants for like$150- $200. it’s ridiculous…especially since a lot of the faces of there figures are hit an miss, like most of the Snake/ MGS faces are horrid, Lara Croft, no offense to the Star Wars fans but the new ones are ugly imo, and the Marvel ones are ugly too and are $175. I wish they’d go back to the roots, stop crapping out every possible variant no one wants and charging like Hot Toys prices. The Vanquish figure is pretty sweet, I think. I’d like to get a Noctis and maybe some of the other guys too, than I’ll be up to date with the prices. The faces on HotToys figures are amazin, that MGR:R Raiden is really great, I really considered getting one at one point but that’s too expensive. I hope they’ll bundle a FFXV with artbook, limited edition DVD/Blu Ray and a Noctis figure together. 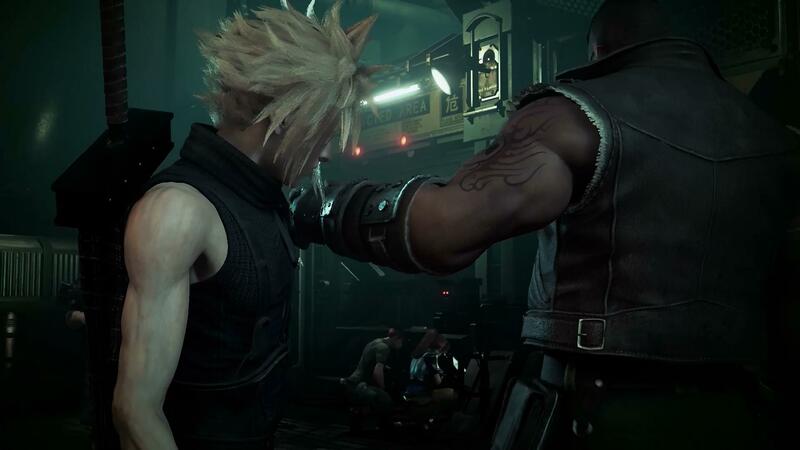 me too about the bundle, I’d be down for that, and if they did the same for episode 1 of the Final Fantasy VII Remake, sadly these bundles usually got to Japan and NA usually gets ehhh bundles. I think they probably just showed the PS Experience trailer with Japanese voices, which is unfortunate, but understandable. that trailer was already released in Japan though in Japanese voices and everything when we got the English one, and the recent interviews were all japanese interviews translated to english. I figure if they added FFVII to Jump Festa last min, it’s probably to go over a few things or to release something new, if not then it’s kind of a waste to even mention it. even if it’s not a new trailer figured they’d at least talk about it. Action figures based on concept art and finished in-game models are very easy to produce, but in reality they are not even fully decided on the combat system. It is still being refined. Nomura claims he is satisfied with the game up to Scorpion Guard so far. Barret looks like Wesley Snipes now. Bit too stiff and serious looking in my opinion. He never struck me as a particularly professional or serious person, he was just a rebel with a tragic past and a gun arm, cared about his adopted daughter and wanted to make the planet a better place. But he commonly bickered childishly with the others, swore up a storm, had to be held back from charging at people several times (he is literally dragged away kicking and screaming from President Shinra). I am really wondering if this won’t end up being a completely different game with characters having completely new personalities, using the original game more as a springboard to change everything, than an actual remake.